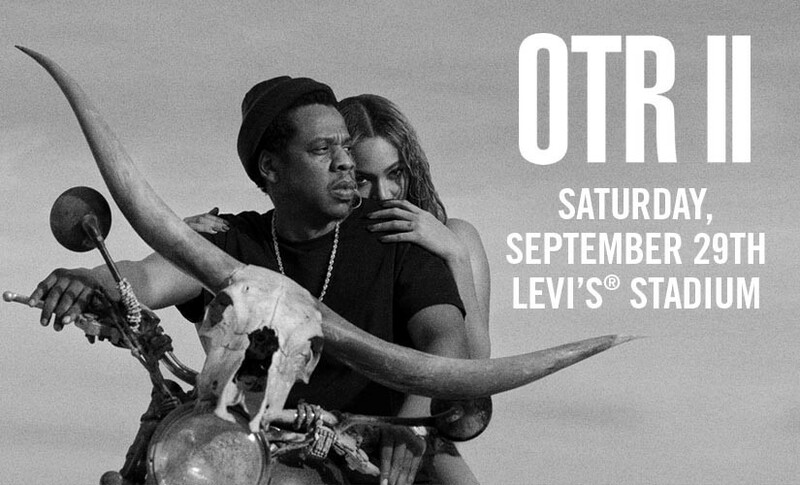 Beyoncé and Jay-Z fans who have tickets to the On the Run II tour stop at Levi’s® Stadium in Santa Clara on Saturday, September 29, will be able to travel to the show without the hassles of traffic and parking . . . and even enjoy a cocktail or two along the way! The Capitol Corridor, which directly serves Levi’s Stadium at the Santa Clara-Great America Station, will offer late-night service after the concert so ticket holders can leave their cars at home and enjoy traveling there and back by train. The Capitol Corridor coordinated the schedule adjustment with service partners, Amtrak and Union Pacific, and is promoting the service along with Live Nation. Eastbound Train 748, which normally provides weekend service between the San Jose-Diridon and Sacramento stations (departing San Jose at 9:10pm and arriving in Sacramento at 12:19am) will be rescheduled in order to accommodate passengers attending the concert. On September 29 only, Train 748 will depart San Jose at 11:13pm and will pick up passengers at the Santa Clara-Great America Station at 11:30pm. (The train will not wait for passengers if the concert runs late.) The train will make all stops along the route and is scheduled to arrive in Sacramento at 2:26am on September 30. Ridership on Train 748 is typically low; however, those who were planning to take this train (but are not attending the concert) will need to plan their travel accordingly. Getting a ticket to travel to and from the show on September 29 is no different than how you would normally buy a ticket. Whether you purchase your ticket online or from a Quik-Trak ticket vending machine, Train 748’s updated schedule has been added to the booking system, so this special concert return trip will show up as one of your options. Due to the large expected crowds, we encourage concert-goers to purchase round-trip train tickets online, before the show. Save with BOGO Saturdays and Friends & Family! There are a couple of ways to save on your train fare if you are traveling with a friend or as part of a small group. Friends & Family: Buy one full-fare ticket and bring up to 5 companions for 50% off any day of the week. Tickets must be purchased online, one day in advance. Train 741 arrives at the Santa Clara-Great America Station at 4:52pm. Train 743 arrives at 6:27pm. Please check the Capitol Corridor Weekend/Holiday Schedule for more trip-planning information. For Capitol Corridor passengers who will be using the Santa Clara-Great America Station in the afternoon, but not going to the concert, please be advised that because of the show, Tasman Drive between Great America Parkway and the train station will be closed, which will cause traffic delays for Capitol Corridor customers approaching the station. Additionally, there will be a security officer at the entrance of the Great America Station P&R lot from 2 pm to 7 pm to allow only Capitol Corridor and ACE train passengers to park their vehicles there. Customers who enter the Great America Station P&R lot between the hours of 2 pm and 7 pm will be asked to display their train ticket to the Security Officer. Need tickets to the concert? There are a limited number of tickets to the concert available. Make your purchase while supplies last.